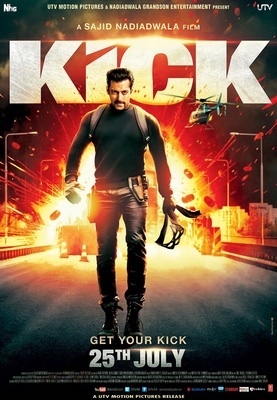 Straight up, Kick is the quintessential Salman ” Bhai” affair. Completely devoid of logic,with full throttle mindless entertainment. Its actually fruitless to review a film starring an actor whose humoungous success in recent times ( all his films since Dabanng have crossed 100 crores) is still a conundrum to solve. With his recently released Kick, Salman dials up his own success formula again with unabashed charm and chutzpah.And he succeeds, yet again..in giving his fans the much needed “Eidiee” they deserved, after a rather dissapointing Jai Ho ( which still was a 126 crore hit).